I don’t really love steak. I’m not a big-slab-of-meat kind of person. 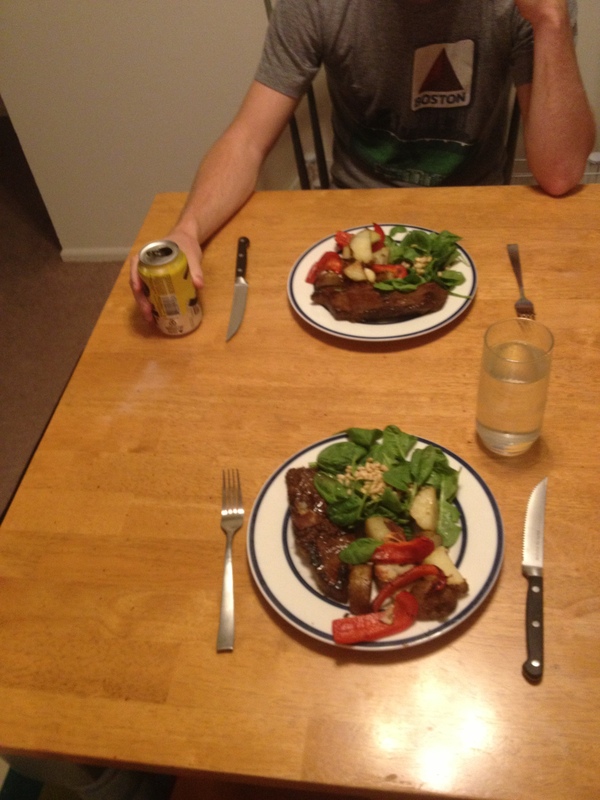 But when I asked Mike what his favorite meal was and he replied, “steak and potatoes,” it became the dish that I cooked for him for our “date” this past Saturday. I entered into the situation with a little bit of trepidation because I’ve never cooked steak before but I’d say it turned out pretty well. Mix it all together, add the meat, and refrigerate concoction for 3 to 24 hours. Then I cut up all the potatoes and stored them in a plastic bag for the night. 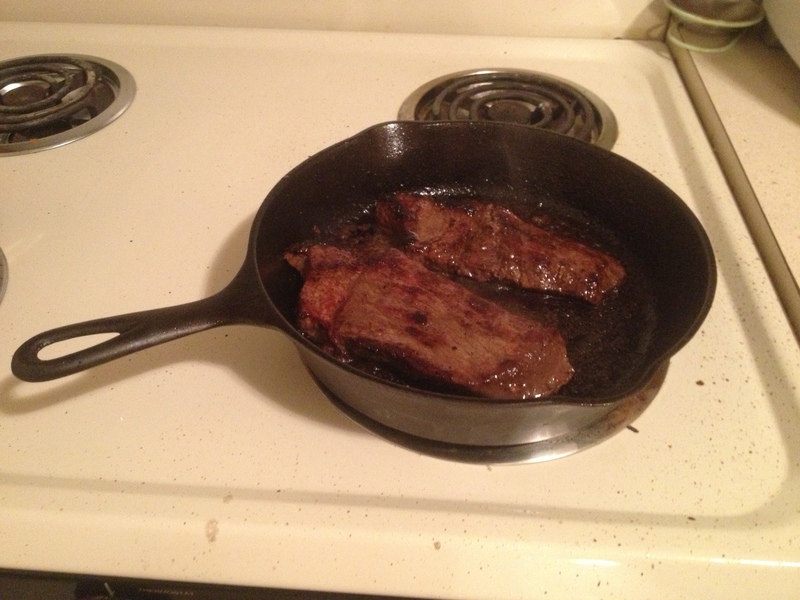 and then threw the steak on my new iron skillet (5 minutes for each side of a 1 inch steak). And voila! It was pretty delicious. A little overcooked but I’ll get better at the timing thing. 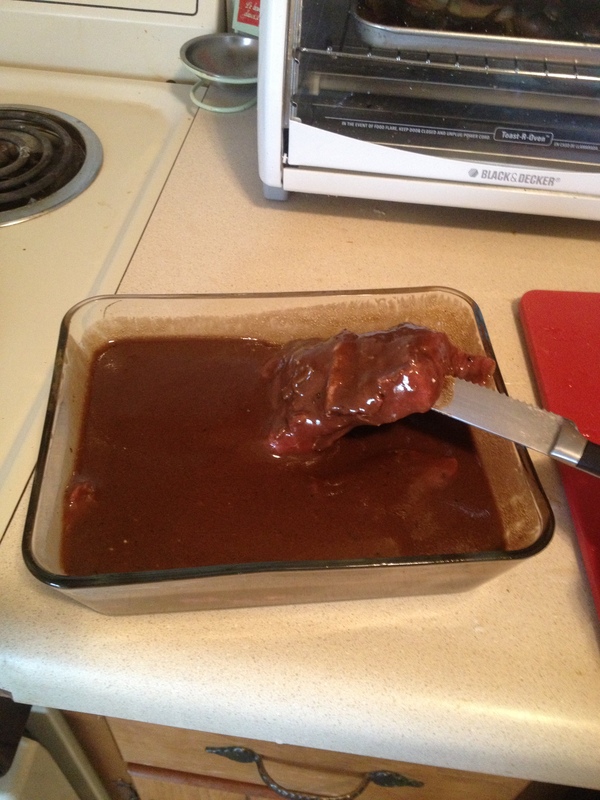 Also, it’s important to mention that I completely disregarded my stomach’s dislike of red meat with this recipe. 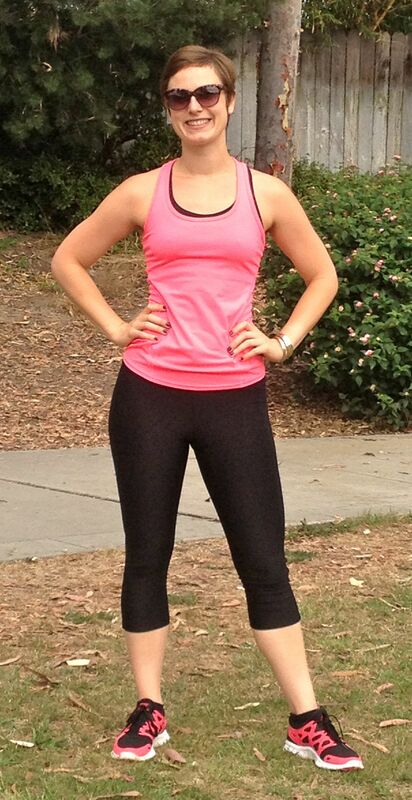 I haven’t been experiencing any negative symptoms from the grass-fed beef so I thought I’d be fine. I think it was the sheer quantity of beef that did me in but my stomach was a little grumbly and stubborn for about 24 hours after this meal. And of course, Mike was fine. I hope you’re all having wonderful days. It’s not Monday anymore. YAY! 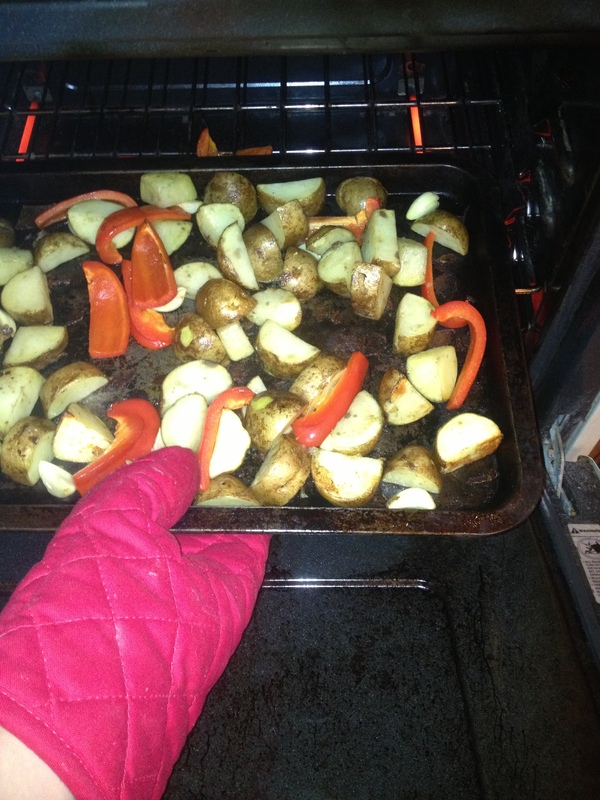 This entry was posted in Nutrition, Recipes and tagged Balsamic vinegar, Black pepper, Dijon, happy, health, life, love, Marinade, Olive oil, Potato, Roast Potatoes, Smile, Steak on November 13, 2012 by ahappylass.